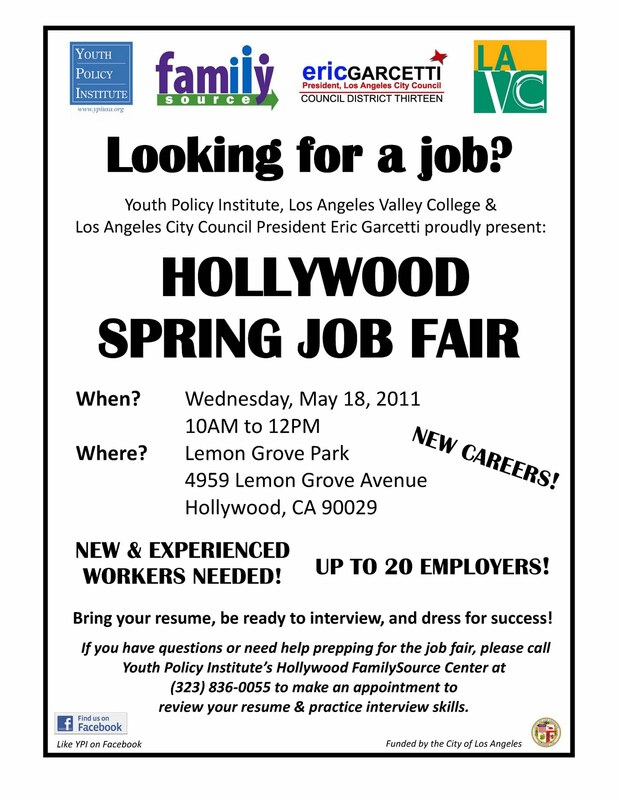 My office will be co-hosting a job fair in Hollywood in partnership with the Youth Policy Institute and Los Angeles Valley College. The event will be held on Wednesday, May 18, from 10 a.m. to 12 p.m. at Lemon Grove Park (4959 Lemon Grove Ave.). Participants should bring resumes and be dressed and prepared for job interviews. 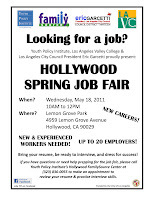 For more information, please call the Youth Policy Institute's Hollywood FamilySource Center at 323-836-0055. They will also be able to provide assistance with resume writing and interview practice.